This is an interesting little tool showing the potential energy of different parts of the US. 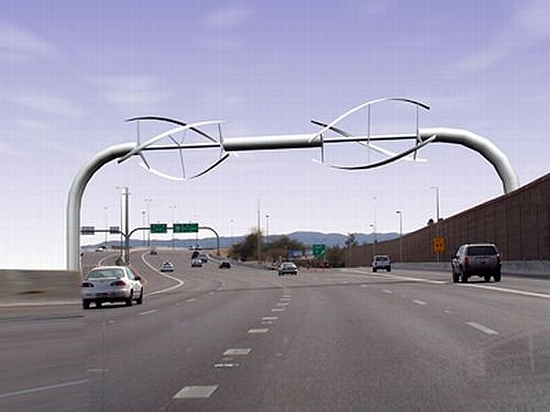 Vertical Axis Wind Turbines VAWT. These have been around for a while but no one design or company has really taken off. 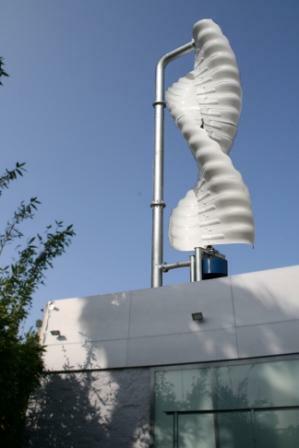 The most efficient ones are generally shaped like a helix so that it spins no matter what direction the wind is blowing. One significant problem with the standard large windmill design is they only work well if the wind is blowing hard and steadily in one direction. There are places with those conditions but they are not exactly abundant. The VAWT work on a different kind of wind. They could be effective on a small scale and could be owned privately like solar panels. The other probably more untactful use would be to put them on the top and sides of skyscrapers. As anyone who has stood on a NYC rooftop can tell you, the wind coming up from the street is srong and constant so attaching turbines could ease the electric demand where it is most needed. So I will have to do some more research on the physics of wind generation but I was under the impression that the capture of wind was perfected by sailors in the last few centuries. Who says windmills as they are designed today is the best way to harness the wind’s energy? We are about to put some significant investment into wind energy and I wonder if it really is the best way or just tradition. I am from Boston and my family has a place in Buzzard’s Bay, near Cape Cod. The debate around placing an offshore wind farm in the Nantucket sound has been a hot topic for many years in the area. As in most debates over public policy, the spectrum of opinions runs along a socioeconomic axis. The more affluent do not want any windmills cluttering their view of the “pristine” ocean and the people who live in the area year round would love a drop in the electricity bills. The problem with the pristine ocean is that it is full of garbage and chemicals. I am twenty-four years old and I can clearly remember a time when you could walk down to the ocean near my house and pick up as many mussels, oysters, and clams as you wanted. Now there is nothing on the shore except barnacles and seaweed. You could hit a deer by accident easily because there were tons of them all around. Now you would be lucky to see one all summer. Greenbrier, poison ivy and other resilient horrible weeds have taken over from roses and blueberry patches. The point is that toxic chemicals and invasive species have done far more damage to the pristine ocean than a wind farm could ever do. This is in addition to the fact that wind farms might lessen the oil barge traffic that regularly runs through these waters, even in winter. The opponants of wind farms need to understand that how the world looks needs to change in order for us to survive and prosper. If we decide to cut down trees, then we will have to look at windmills instead.